In Karen Marie Moning s latest installment of the epic #1 "New York Times" bestselling Fever series, Mac, Barrons, Ryodan, and Jada are back and the stakes have never been higher or the chemistry hotter. 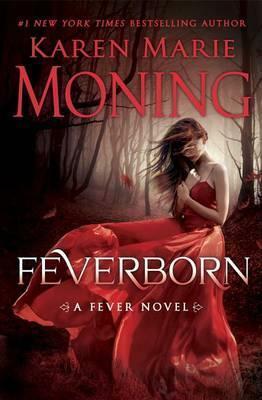 Hurtling us into a realm of labyrinthine intrigue and consummate seduction, "Feverborn" is a riveting tale of ancient evil, lust, betrayal, forgiveness, and the redemptive power of love. Praise for Karen Marie Moning s "Burned"
Mac is back! Grab some snacks, something to drink, and settle down for a cover-to-cover read that will likely keep you up all night. "New York Times" bestselling author Linda Howard"
Karen Marie Moning is the #1 "New York Times" bestselling author of the Fever series, featuring MacKayla Lane, and the award-winning Highlander series. She has a bachelor s degree in society and law from Purdue University."